Visit the most famous sites of the region in one day. 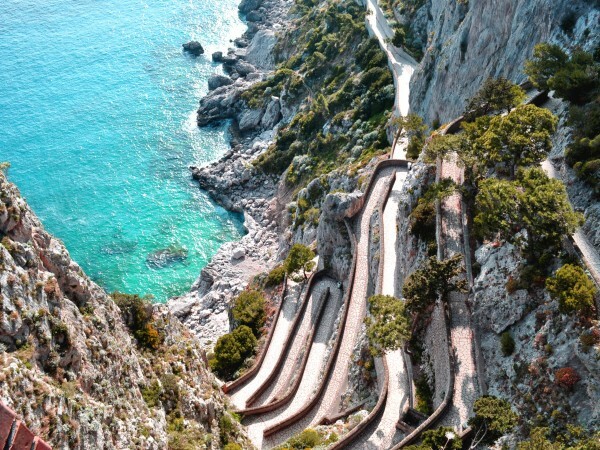 The tour will start from the unforgettable “piazzetta” that you will reach by funicular. 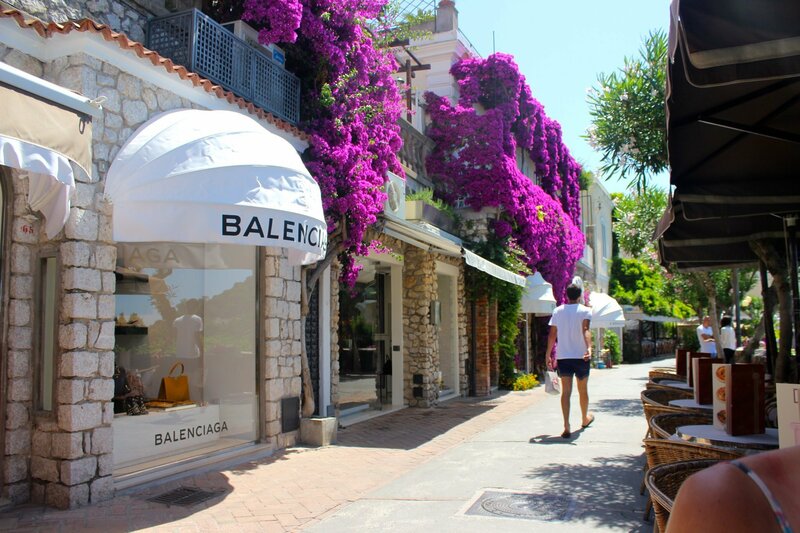 From this tiny square, you will walk along the narrow streets of Capri, famous for Italian fashion brands and local hand-crafted shops. The Augustus gardens are not far away. In the 1900s this botanical estate was the vacation home of steel magnate Friedrich Alfred Krupp. On the way, you will see also the twisty and unique Via Krupp. 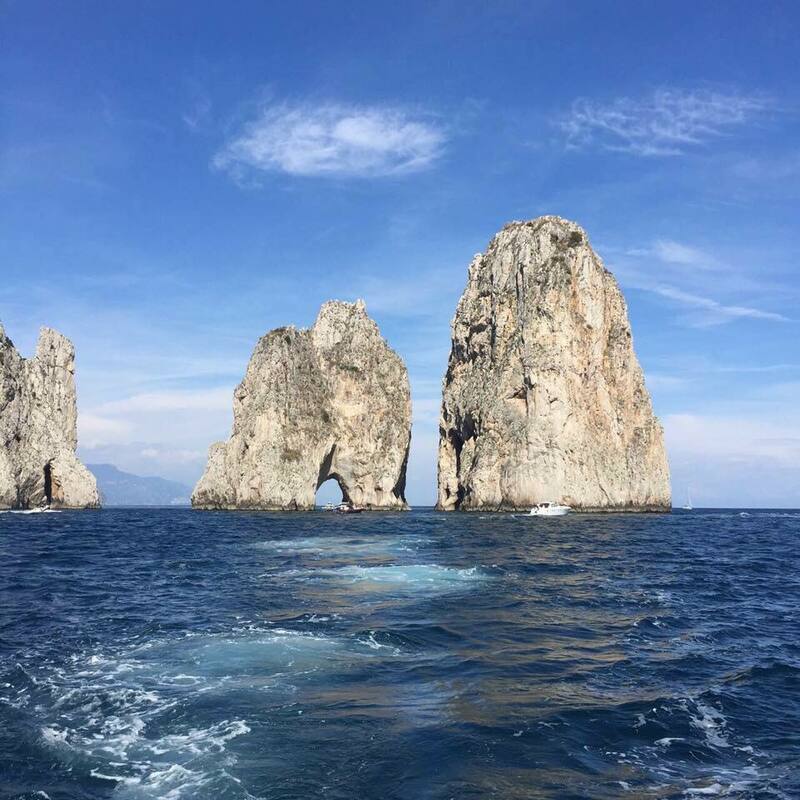 From Augustus Gardens you will look down upon the renowned “Faraglioni” limestone sea stacks. 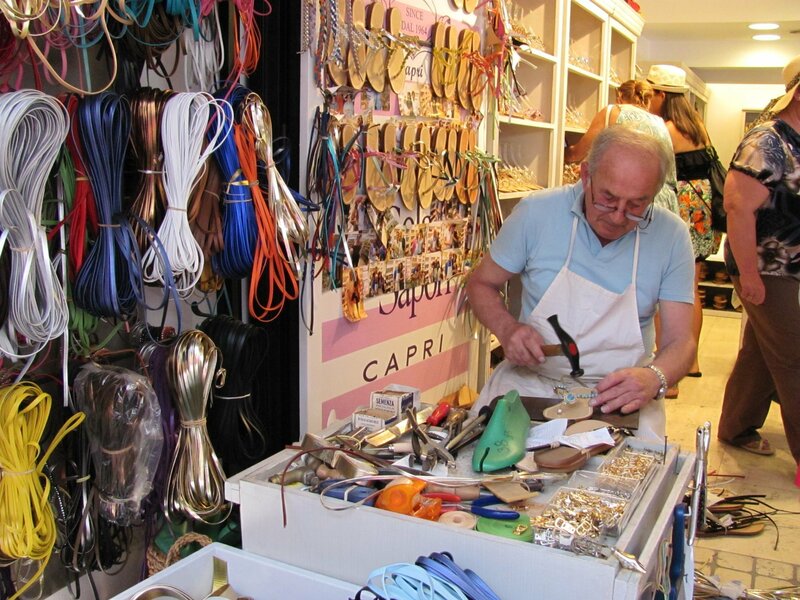 Capri is at the same time a wonderful naturalistic experience and one of the most fashionable places in Italy. You will see also the twisty and unique Via Krupp. 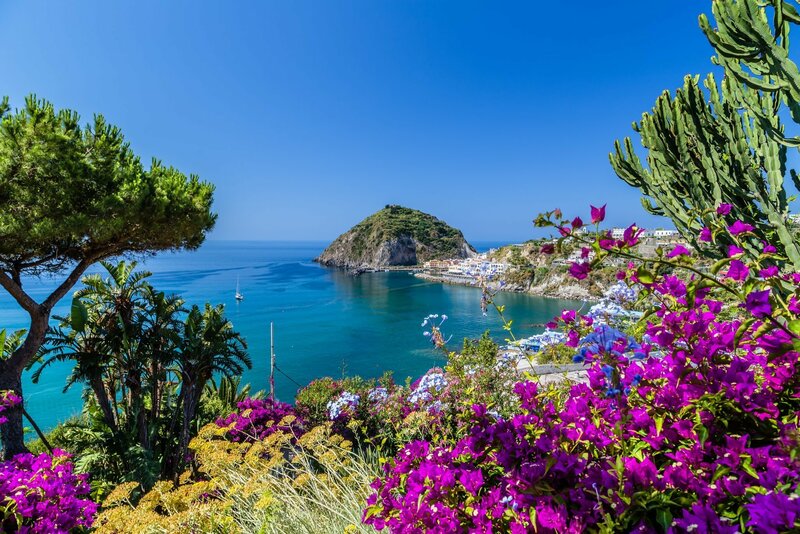 Our guide will also give you basics about the history, the culture and the myth of enchanted writers, poets, musicians and so forth. 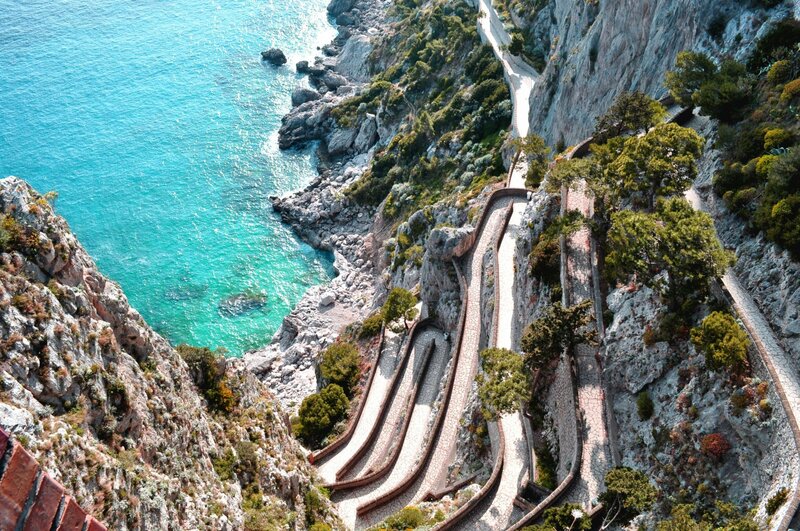 In their day, Roman Emperors walked along Capri’s pristine shores. 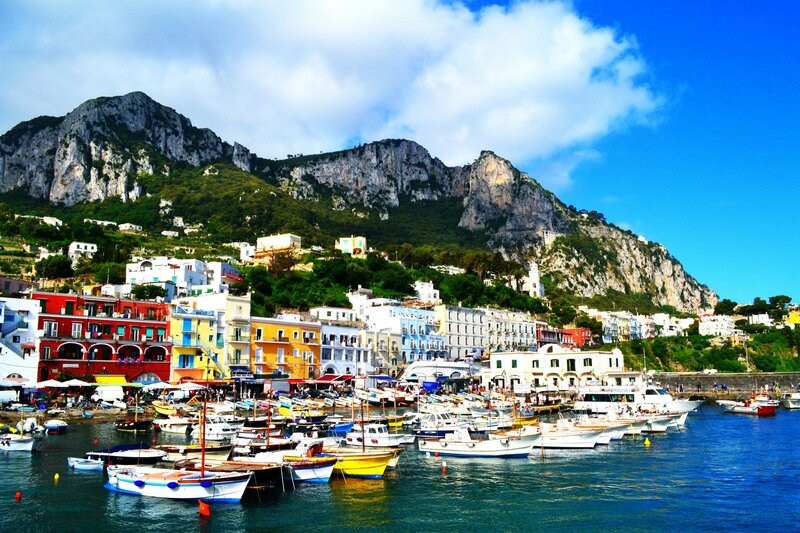 Now, you can enjoy these sights. 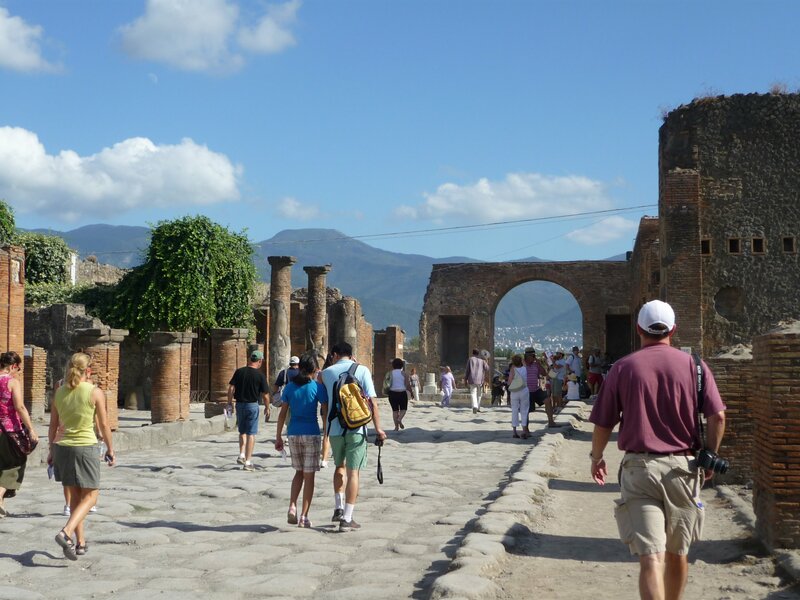 After a free time for a lunch you will come back to Naples port where a driver will take you to Pompeii archeological excavations. 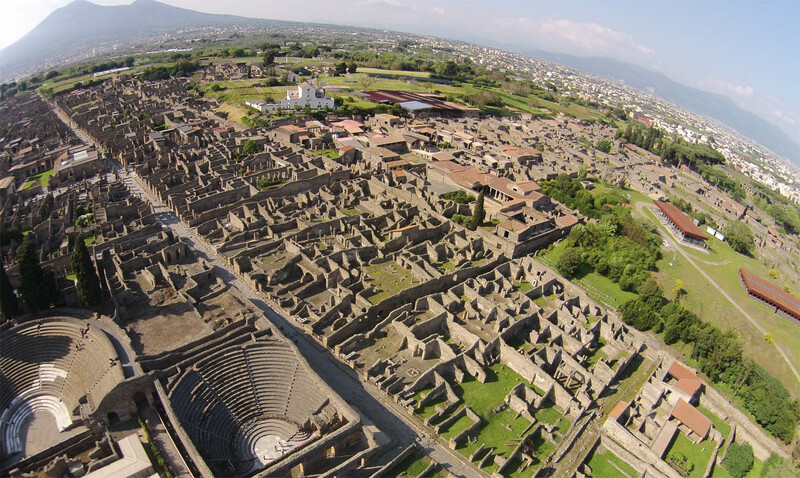 Pompeii life was destroyed by the Vesuvius eruption of the 79 A.D. 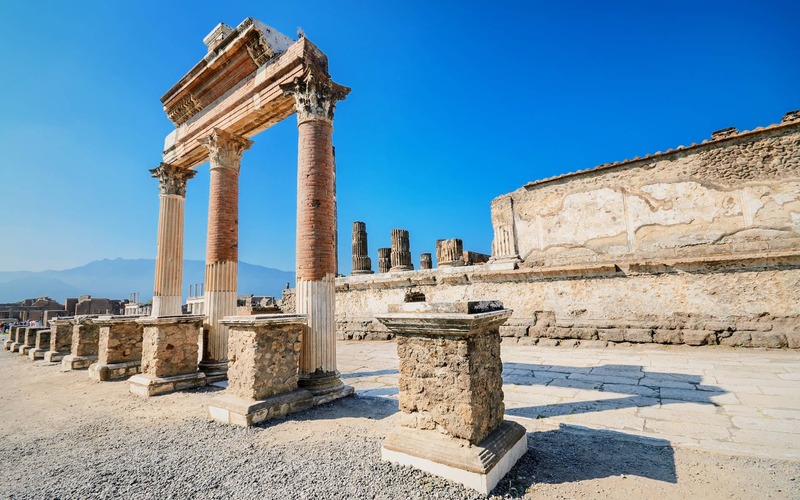 In Pompeii you will discover the social life in the ancient Roman city and all landmarks of the ruins such as the thermal baths, the frescos of the Lupanare, the Macellum and the Basilica. A fantastic trip in two wonderful places, which deserve to be absolutely visited.